Compact track loader sales continue to outpace skid steers (by nearly double). We’ve heard sales for tracked machines were in the whopping 64,000-unit range in America for 2018. Skid steers unit sales were steady at around 34,000ish. Wow, right? Wheeled skid steers still have their place in fleets especially when speed, hard surfaces, snow removal, constant zero turning and demolition and waste handling come into play. But tracks allow professionals to work better in the wet seasons, generate more pushing power, add stability, decrease ground pressure and give the ability to tackle specific applications where wheels face challenges (like in brush cutting or grade control). These advantages are making compact track loaders hot, and landscapers, rental yards, residential contractors and even farmers are increasingly buying a skid steer on tracks. 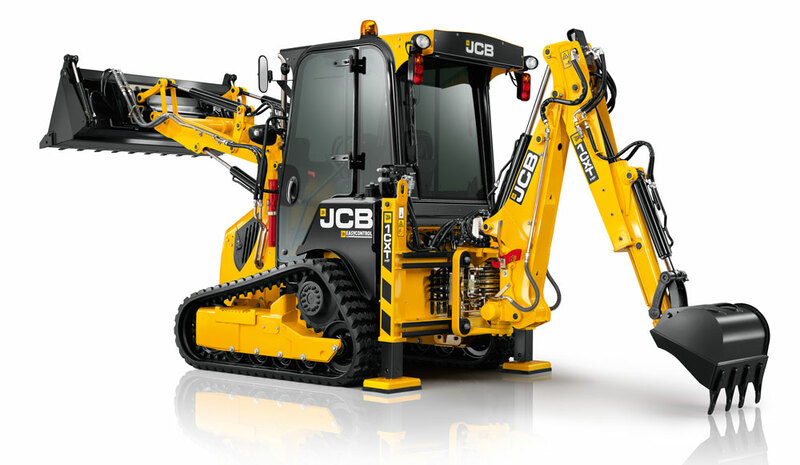 So, it made sense when I saw the JCB 1CXT backhoe loader at The ARA Show — a backhoe loader except on tracks. JCB has actually sold this tracked backhoe since 2012, but it’s just now bringing this variant to North America. The 1CXT has a 10-ft, 1-in. dig depth off the backhoe end, is powered by a Perkins 49-hp diesel engine and has a maximum rated loader capacity of 1,466 lbs up front. The 1CXT has seat-mounted joystick controls that run both the loader end and the backhoe — just spin the seat and the machine automatically detects the operator’s position. The operator station has a choice of open ROPS or cab with air conditioning and heat. There’s reverse driving — just click and hold a button. The 1CXT is also engineered with a side-shift chassis, allowing the backhoe to shift without moving the entire unit. The first American 1CXT units should start arriving in June, but JCB has already pre-sold a bunch of machines, so availability might be tough at first.